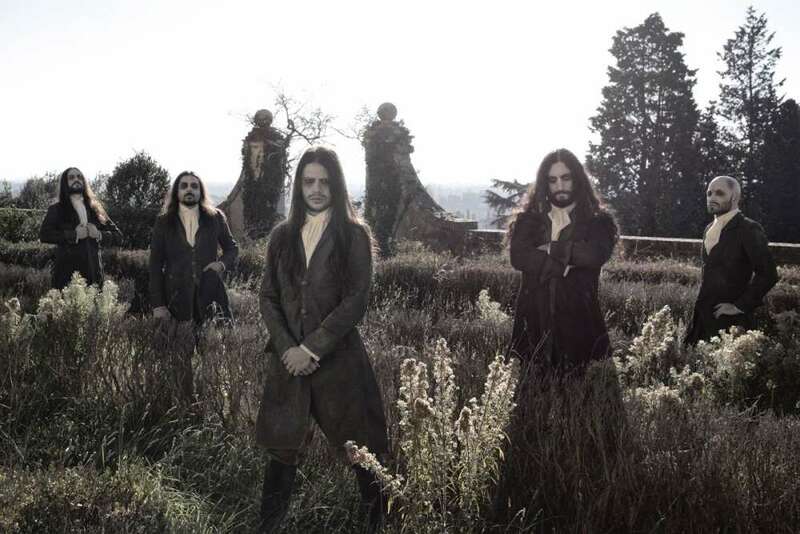 Formed only in 2007, Fleshgod Apocalypse are at the vanguard of Italy’s extreme metal movement. No other band in the country’s history has taken ownership of and innovated on death metal quite like the Italians. Inspired by greats Morbid Angel, Deicide, and Cannibal Corpse as well as renowned composers Franz Joseph Haydn, Wolfgang Amadeus Mozart and Ludwig Van Beethoven, Fleshgod Apocalypse have fused disparate genres and crafted a sound that’s powerful, impressive, and unique across three full-lengths, the latest of which was 2013’s critically-acclaimed Labyrinth effort. However, the group are only getting stronger. 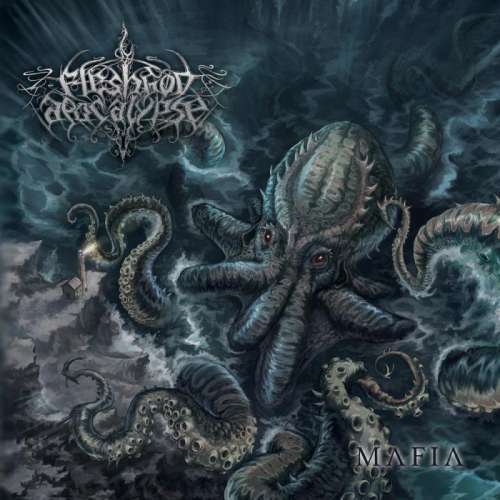 Add in film score composers such as John Williams, Hanz Zimmer, and Howard Shore and melodic death metal—Carcass and At the Gates—and there’s clearly no stopping Fleshgod Apocalypse’s creative ambitions. says frontman/guitarist Tommaso Riccardi, blurring the lines between classical refinement and metallic bombast. This means that drums, bass, guitars, and vocals are elements of the orchestra, together with all the other sections, [such as] strings, brass, etc. This means that in the process of composing new songs we always consider all these elements together. Of course, sometimes a guitar riff could be the starting point, while sometimes the song could come to life with the idea of a main orchestral theme or a drum rhythm, but it’s going to be a very organic process in which all these elements are written and arranged together during the evolution of the songwriting. 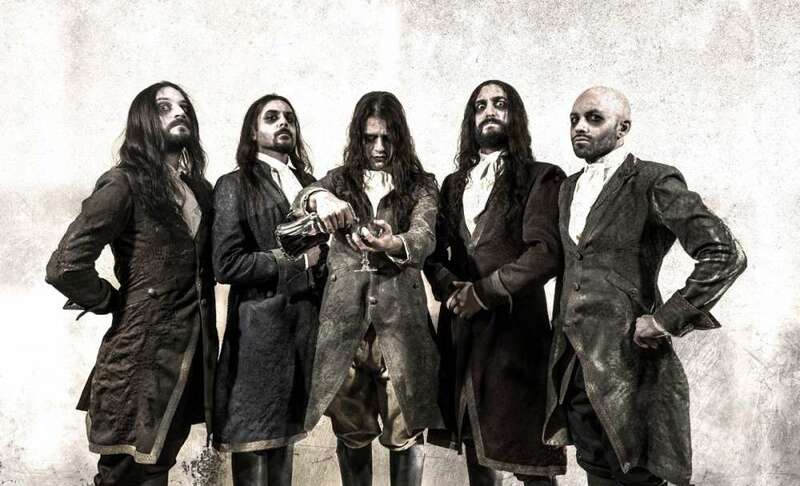 What Riccardi is saying is that when it comes to writing music for Fleshgod Apocalypse, the spark of inspiration can come from anywhere on any instrument. For new album, King, a song like Gravity started with a riff, while a song like In Aeternum kicked off with an orchestral motif. Then again, The Fool was informed by both Classical and death metal. As with Labyrinth so too with King, the Italians focused first on melding their influences and second on writing songs that would be immediately recognizable yet have a wider and deeper cinematic scope. [The songwriting was] very stressful as usual, the frontman laughs. We are extremely meticulous about everything, especially the songwriting, and I think this is what made us grow up so fast and gave us the chance to play so many great stages over the years. We are hard workers and we never settle on anything. King’s songwriting and arrangements took almost nine full months—plus all the recordings—so it was actually very challenging. But we are so happy with the results. 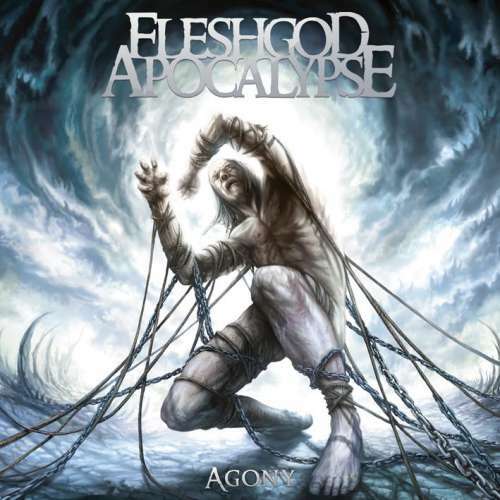 To date, every Fleshgod Apocalypse album is built on the album before it. They’re a synthesis of the music and mentality of what came before. Labyrinth took from and expanded upon 2011’s Agony. The Mafia EP was an extension of debut album, Oracles (2009). 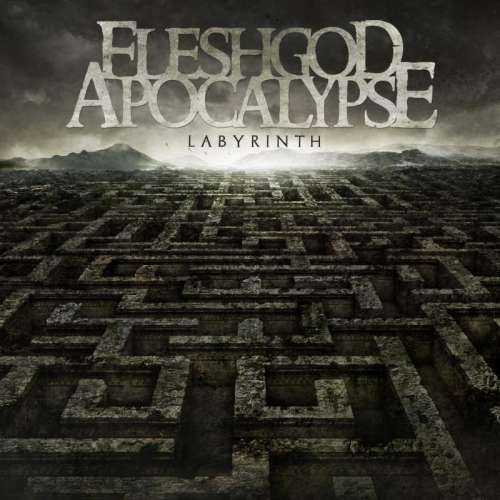 King is, therefore, cut from the same cloth as Labyrinth, but in the three years between albums, Fleshgod Apocalypse have matured greatly. I think we reached the perfect balance between all the aspects of our music. Besides that, I really believe that we simply wrote our best songs so far. Every riff is mind-blowing and the way we managed the arrangements and song structures is great; I really feel that everything is in the right place, when I listen to it. 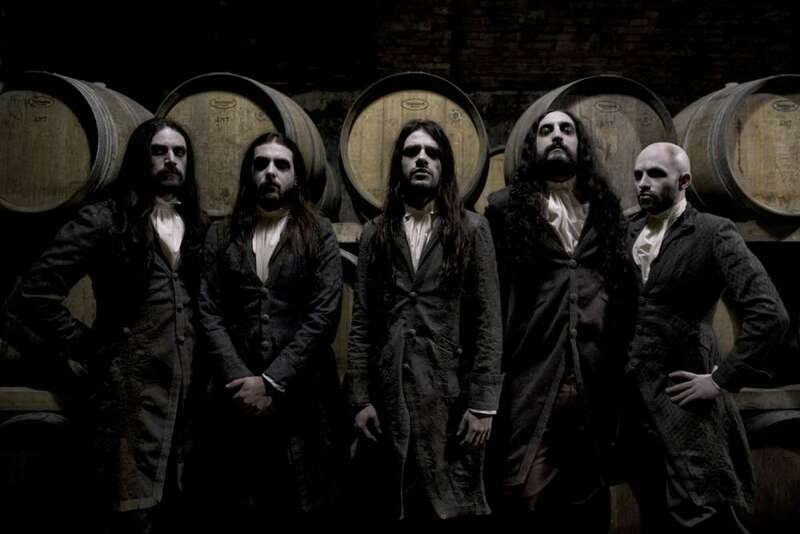 Fleshgod Apocalypse are no strangers to concept albums. Agony was about all the ways our painful feelings can lead us to be violent and hurt others; Mafia was about the way the Italian mafia uses fear to control the weak and perpetrate their dominion on the populace; while Labyrinth centered on the labyrinth of Knossos, the legendary maze made by Daedalus. King, however, moves the band forward lyrically. There’s real commentary behind the stories of a collapsing world. King is about an old world that is slowly coming to an end, Riccardi informs. The king himself is, in a way, the only positive character of the whole story. He represents justice, integrity, and wisdom that are slowly being corroded by ignorance and mediocrity spreading everywhere. We thought this could be a perfect way to describe our indignation about the unrestrainable downfall of our own society in an era that looks more like the Middle Ages rather than the 21st Century. Obviously, in this story there is a positive message: that the king could be inside every one of us. It’s up to us to recognize the King and find the courage to stand for what we believe in. We should all hail the king we have inside! Recorded across two studios —Kick Recording Studios and 16th Cellar Studios— King is easily Fleshgod Apocalypse’s most forceful yet. Pre-production was handled by Stefano Morabito at 16th Cellar Studios—a session Riccardi called really comfortable—whereas the full production was completed at Kick Recording Studios with Marco Mastrobuono (Hour of Penance). The sessions for King were, as the frontman tells it, an amazing time. The ultimate goal was to give Fleshgod Apocalypse a firm foundation from which to build their complex yet savage music. I think working with Marco has been the very first step towards the realization of a very high quality product, says Riccardi. We are extremely satisfied about the work we did on the album sound, both during the recordings with Marco Mastrobuono at Kick Recording Studio and of course during mixing and mastering with the almighty Jens Bogren at Fascination Street Studios. Speaking of Bogren, the Italians felt it was absolutely necessary to take King out of the norms of their homeland. They opted to hire Jens Bogren (Soilwork, Symphony X, Enslaved) for his sonic expertise. 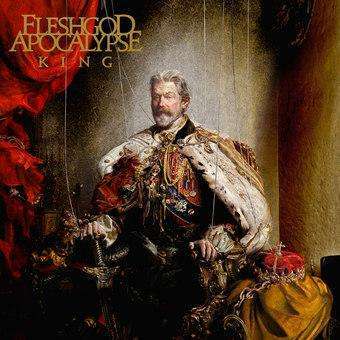 Their reasoning was this: if Fleshgod Apocalypse had a gem in King on their hands they weren’t going to tarnish it. The group’s hopes were answered when they heard the first Bogren mix, actually. Fleshgod Apocalypse had something massive on their hands. We were looking for people who could really interpret our music and put it in a way in, which with all the things going on, where it could be intelligible and still extremely heavy and powerful, the frontman says. And we definitely succeeded. We finally obtained what we had in mind since the beginning: a great sounding album. 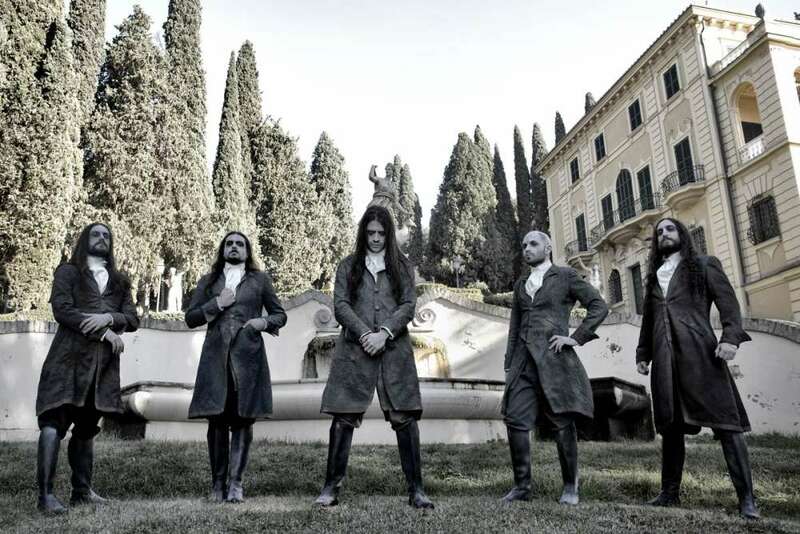 If Fleshgod Apocalypse are at the pinnacle of classically-inspired death metal—King is a pivotal album—then where will the Italians take the genre next. For certain, they own it. More orchestration. More death metal. Superlative bluster from all angles. Thankfully, they can first put their efforts into King before deciding where they’ll take the genre in the future. This is a very hard question to answer, Riccardi admits. It is never easy to predict something like that. What I can say is that on our side, we are trying to push ourselves more and more into something that is grandiose, but at the same time heavy and sharp; something violent, obscure and dramatic! We can certainly live with that. 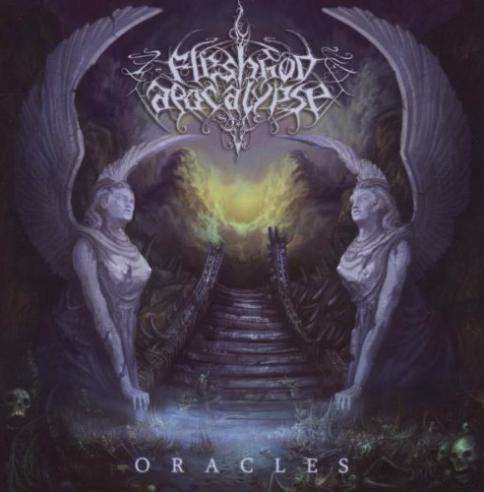 Hail to Fleshgod Apocalypse! Hail to the King!